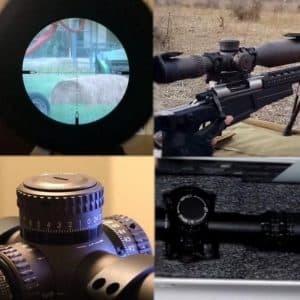 Vortex Sparc AR vs. Aimpoint ACO Review - Best Comparison in 2019 April! 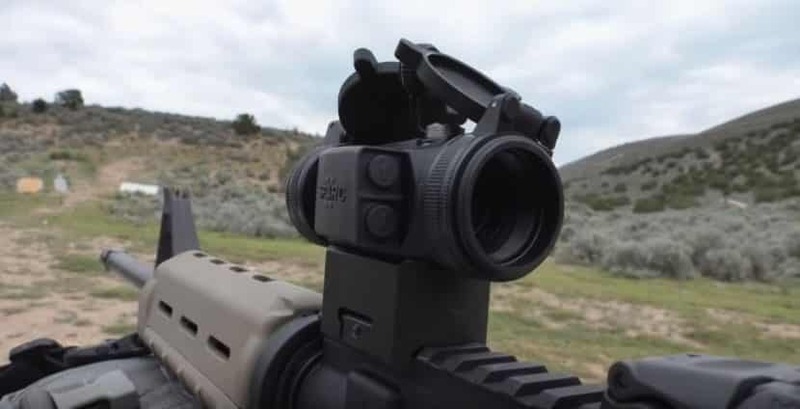 In this article I take two AR-15 sights, the Vortex SPARC® II RED DOT and the Aimpoint Carbine Optic (ACO) Sight, and compare them for performance, quality and value for the price. 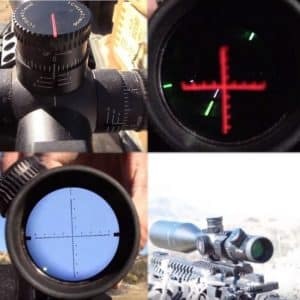 Both of these sights are Red Dot, while one, the Vortex comes in at under half the price of the Swedish Aimpoint, both sights provide similar features and performance. So let’s take a look at both and decide. 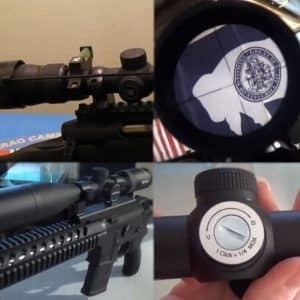 Vortex is a popular USA company that produces a lot of affordable sights, scopes, and other optical equipment. The company has a wide range of options and among the many models is their AR Red Dot Sight. The Vortex SPARC® II (Speed Point Aiming for Rapid Combat) is a compact, lightweight, sight that can sit as comfortably on an AR-15 as it will on a shotgun. This exceptional model from Vortex is made from a rugged aluminum body combing in O-ring seals and is nitrogen purged, so you get the full flexibility of a fog-free performance while being totally waterproof. The one-piece aluminum frame is aircraft grade alloy and is finished with an anodized hard dark matte coating. The Sparc II comes with compatibility to Picatinny, Weaver and absolute or lower 1/3 co-witness heights. This is a modular component, combining a three-piece base to deliver four separate mounting heights including 18.0 mm (.709 inches), 21 mm (.823 inches), 37 mm (1.457 inches), and 40 mm (1.575 inches). 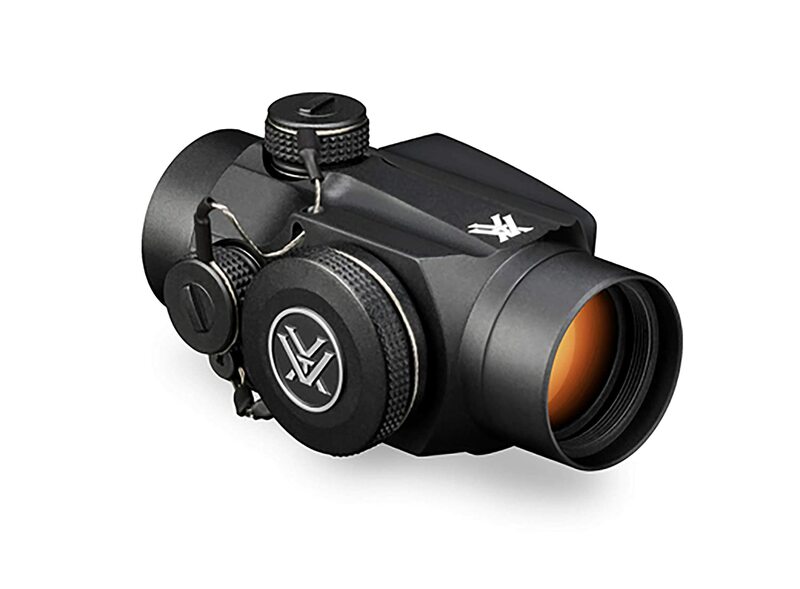 This model comes with the Vortex fully multi-coated optics and has a bright red dot display as well as 10 brightness levels to select for perfect ambiance interaction, and the sight is parallax free. Battery Life is 300 hours at maximum brightness and 5,000 hours at minimum brightness setting. Aimpoint is a Swedish manufacturer of top-level equipment, it is an expensive company, and they claim that the ACO is an affordable model. However, when compared to other brands it sticks out as being much less affordable when comparing within the brand, it is definitely not as expensive as other models, but then this is only a Red Dot Sight. 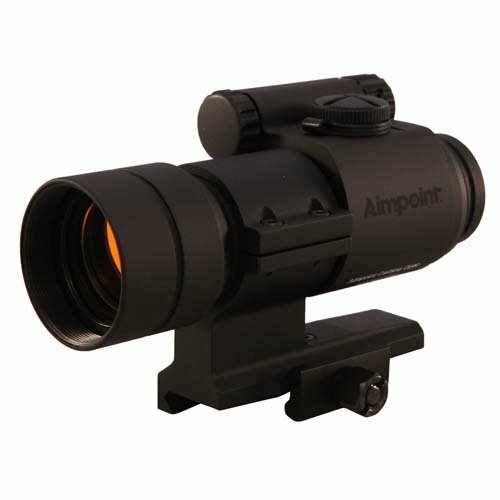 The Aimpoint® Carbine Optic is a sporting rifle sight is a 30 mm aluminum alloy tube of near perfection. The Aimpoint is a Reflex collimator sight with LED and has a 2 MOA dot for aiming. The optics include multi-layer, anti-reflection, and scratch on all surfaces, and the eye relief is unlimited. This model is made from a single machined block of aluminum alloy, finished in an anodized semi-matte black coating and comes with an aluminum mount and spacer. Target acquisition is finer on the Aimpoint with ½ MOA clicks. Minimalist Picatinny mount that is not adjustable for height. Both models are basic red dot systems, so the price disparity is rather unusual, especially when you factor in all the functions and features. The Aimpoint is over double the price of the Vortex, and it makes you wonder WTF? So let’s take a look at each feature and work out why the Aimpoint needs a mortgage in comparison to the Vortex Sparc II. 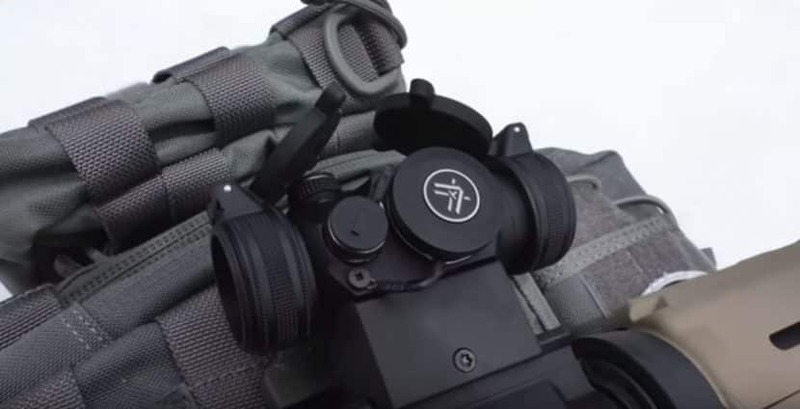 Vortex is a USA based company, Aimpoint is Swedish. Both models are made from “aircraft grade aluminum alloy” that is machined, and anodized for a hard corrosion resistant finish with a matt black nonreflective surface coating. A quick word on aluminum alloys and aircraft, the so-called aircraft grade alloy is designed for flexibility in flight, it has nothing to do with refuged reliability in the field, in fact, if I were to choose an alloy for scopes and sights, it would be the same aluminum alloy used in the M113 Bradley (troop carrier) which is designed for rough and ready conditions, which is what a scope really needs. I guess the PR people thought that “aircraft” sounds sexier than “troop carrier.” Irrelevant what I think, they are both made of the same aluminum alloy, so it’s a tie here. 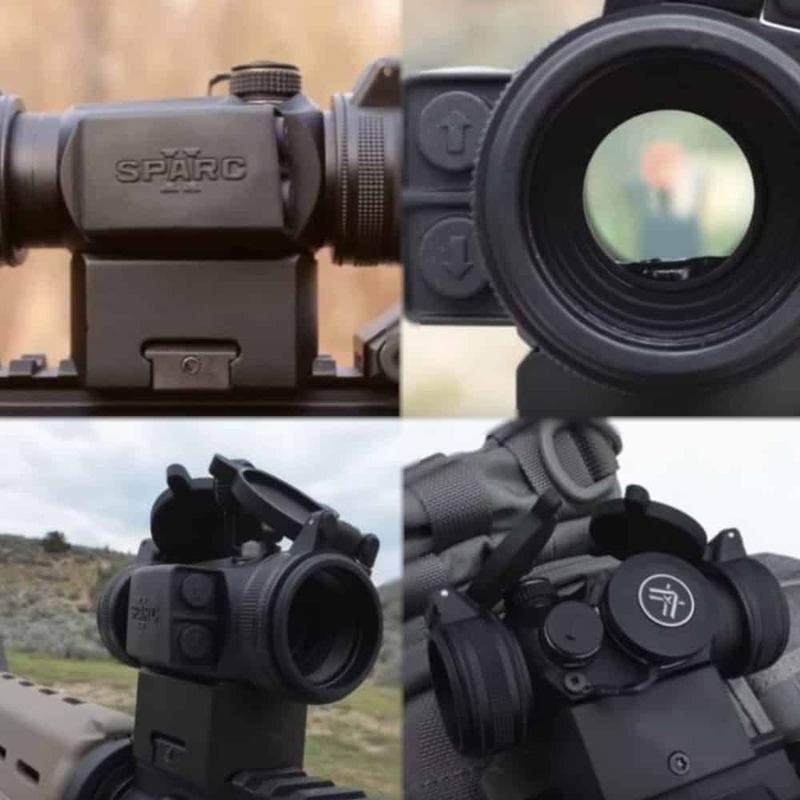 The Sparc II comes with 10 levels of brightness, while the Aimpoint only has 9, (ten if you include the on/off) since it has no IR or night vision compatible choices, so this is a plus for the Vortex. The Aimpoint uses a single 3V lithium battery that is based on ACET technology, which means it will last a whole year even when left on. The Vortex Sparc II uses a CR 2032 battery and comes with a 12-hour auto-shutdown feature that helps to maximize the battery life. However, the life expectancy is around 300 hours at maximum brightness and 5,000 hours at minimum brightness setting. So the Aimpoint wins on battery performance. Both models are 100% waterproof, where the both use O-rings and nitrogen gas purging to provide a sealed environment that helps keep the sight clear and ready for continuous action. Both have 2 MOA dot; however the adjustment on the Aimpoint is ½ MOA per click, versus the 1 MOA per click of the Sparc II, which is in favor of the Aimpoint for accuracy. The controls of the Sparc II are designed to provide a sleek footprint, so the base and brightness controls are actually easier to operate than on the Aimpoint. Against this is the stiff lens cap, for some reason the people designing the Sparc II think that the Hulk operates all AR-15’s. Otherwise the stiffness of the lens cap hinges is unexplainable. The Sparc II’s controls are located on the left-hand side of the objective lens; this leads to a much more accessible operation when in action. In fact, the location of the controls is ergonomically designed to work with a magnifier or night-vision devices. On the Sarc II, two buttons cycle through ten brightness levels that include eight visible red-dot intensities and two IR levels. Whether on the range or in the field, the Swedish Aimpoint doesn’t provide as much difference as the price would suggest. The more affordable North American Vortex provides the same levels of rugged intensity at 8 ounces light, although its objective lens diameter is 1mm smaller than the Aimpoint’s, it makes up for this in a more versatile brightness control feature. Sometimes more expensive just means more expensive, it doesn’t allude to better. You end up paying for the brand image more than the brand performance. 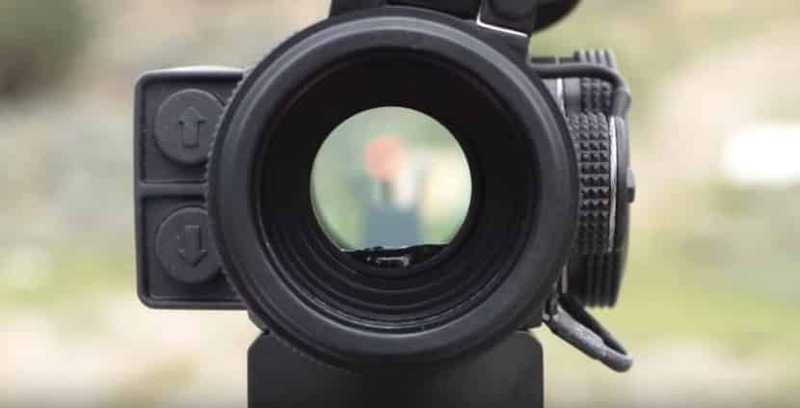 Having stated this, the Aimpoint is an exceptional model, totally waterproof, totally rugged and shockproof and provides a clear 2 MOA dot image for perfect fast target acquisition. 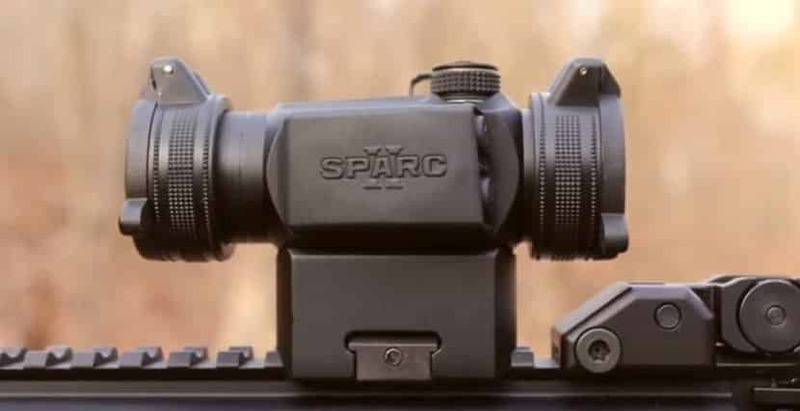 Against it stands the less than half price Vortex Sparc II that delivers better brightness control, equal ruggedness and the same 2 MOA dot performance. Yes, the weight of the Sparc II is lighter, and yes the objective lens diameter of the Aimpoint is wider. The battery life of the Aimpoint is longer. The bottom line is this: If you have a limited budget, buy the Sparc II, if you have unlimited wealth and like to show off your Swedish sight, go Aimpoint. For functionality, both perform equally well, and there is not much difference in their overall performance. The Vortex handles a wider range of weather conditions and ambiance.